We've never seen anything quite like this, and chances are, you haven't either. 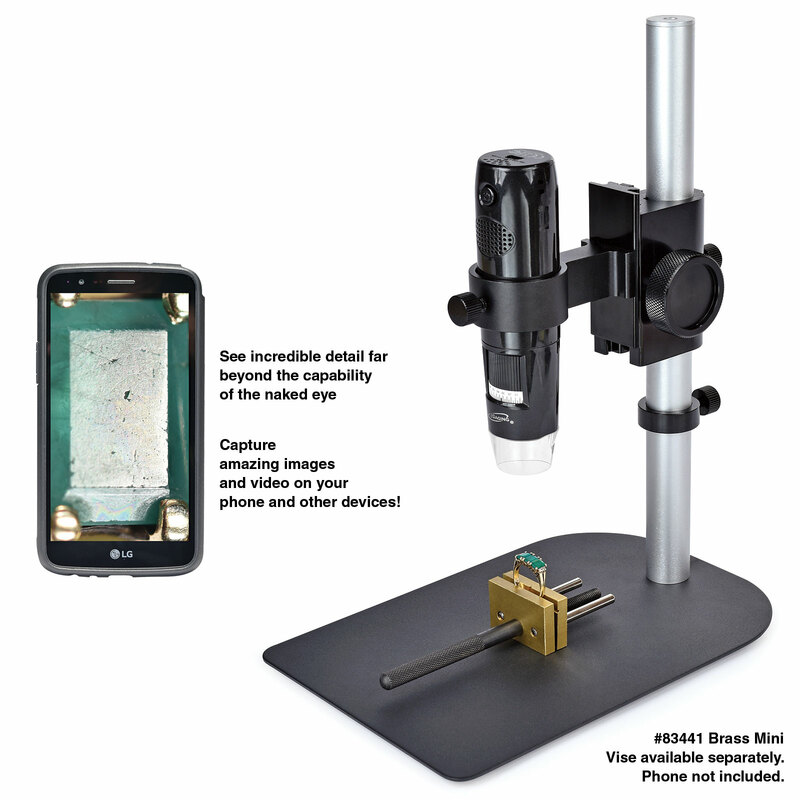 Our Digital Microscope takes the concepts of miniature inspection and analysis, micro image and video capture and precision measurement to near-scientific levels. This powerful, versatile and affordable instrument allows you to see that which you've never seen before with remarkable clarity on your computer, big screen television and even your phone! We know you'll find all kinds of uses for this amazing tool, some of which include model building and detailing, jewelry making, creating prototypes, carving, material inspection, micro photography and video, and so much more. Robust features include built-in LED and UV lighting, 10x to 200x zoom, digital length and angle measurement, live WiFi broadcast to up to 3 devices, 1280 x 1024 video resolution, 8 mm to 300 mm focal range and rechargable battery. 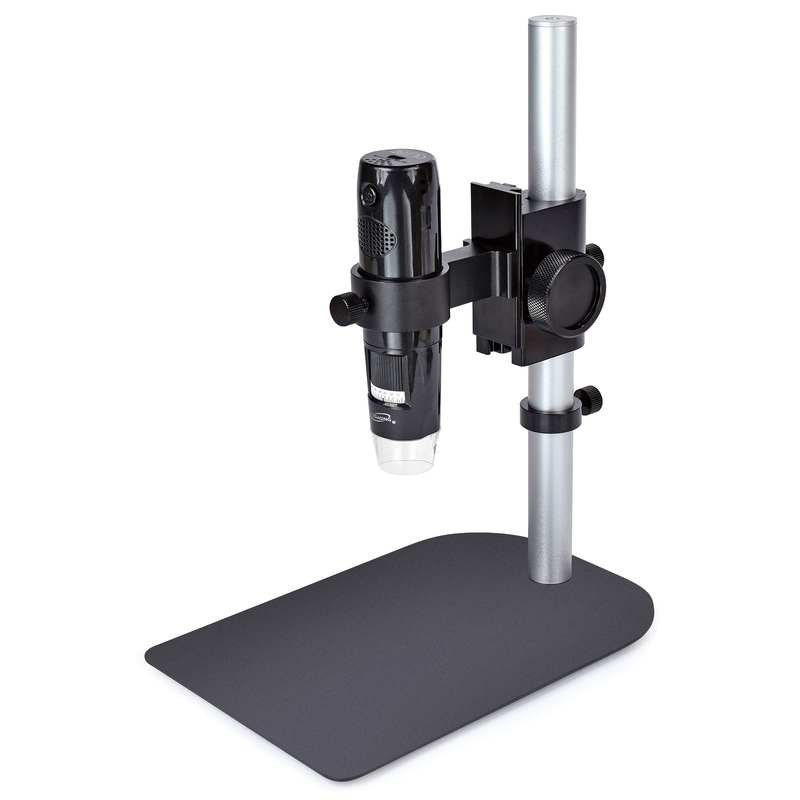 Complete Microscope set includes sturdy adjustable stand with metal base and column, calibration ruler, USB cable and quick start guide. Focus Range: Manual from .315" to 11.81"